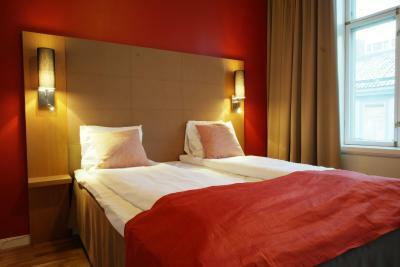 Lock in a great price for City Living Schøller Hotel – rated 8.1 by recent guests! 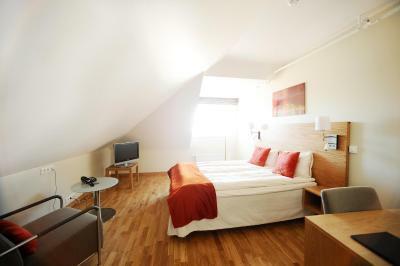 Very spacious large room with seating area , table and kitchenette. Laundry room as well. Very practical. We had an exceptional room on the top floor with a small balcony. Very centrally located, literally minutes from most points of interest, restaurants and bars. There's no parking at the hotel, but the city car park is a short (<5 mins) walk away. The rooms were clean (if on the smaller side). The family apartment was large with a second loft level for the master. Great location. Shared laundry on 4th level was great as we had been traveling for several days. Located in city center. Near attractions. Large room. Nice staff. 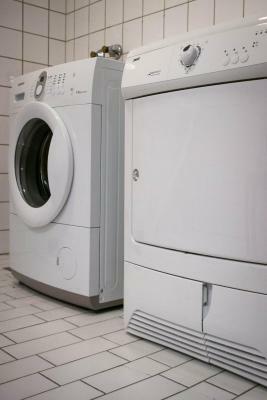 Laundry facilities. very nice location. everything you think is at walking distance. most of the staff at the reception is friendly and cooperative. I stayed for nine day, so it was rare that i encounter someone at the reception whom i feel unfriendly. may be their personality problem, or they are tired. We liked the big double bed instead of 2 singles. The shower had fantastic water pressure! Very helpful staff. Great coffee. Laundry and kitchen so useful. Nice clean big room. 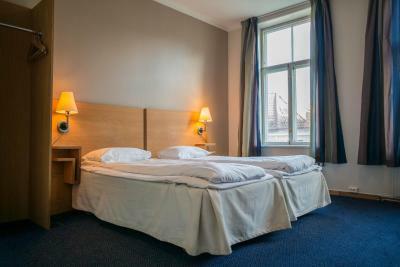 City Living Schøller Hotel This rating is a reflection of how the property compares to the industry standard when it comes to price, facilities and services available. It's based on a self-evaluation by the property. Use this rating to help choose your stay! One of our best sellers in Trondheim! 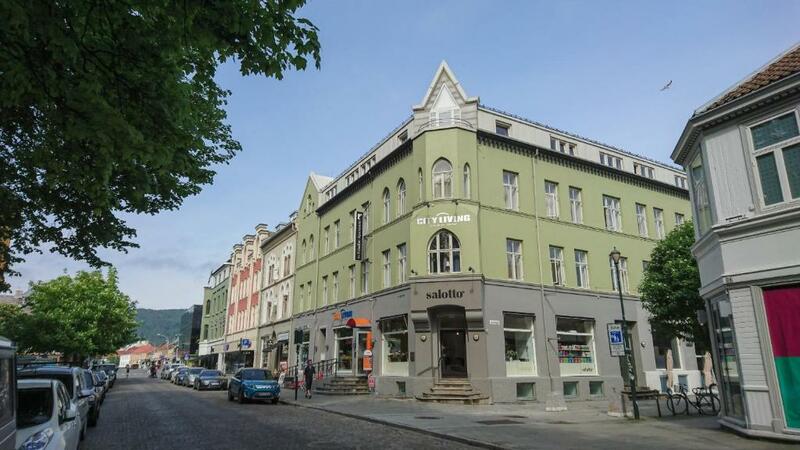 Peacefully located in central Trondheim, City Living Schøller Hotel provides rooms and apartments right across the street from Stiftsgården royal residence. 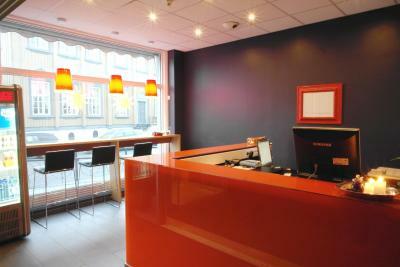 It offers free tea/coffee and rooms with cable TV and free WiFi. 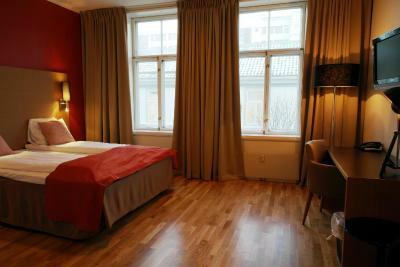 The spacious rooms and apartments at Schøller Hotel feature wooden floors and modern furnishings. Each room has a refrigerator. Apartments include a kitchenette. Movies can be borrowed at Hotel City Living Schøller's reception. 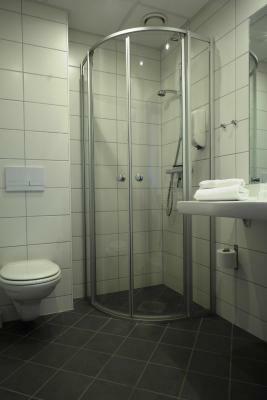 Shared on-site facilities include a fully equipped kitchen and a laundry room. 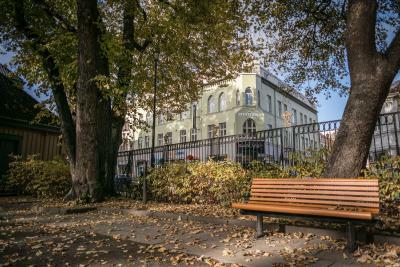 Torvet Square is 650 feet away and offers shopping, entertainment and nightlife options. 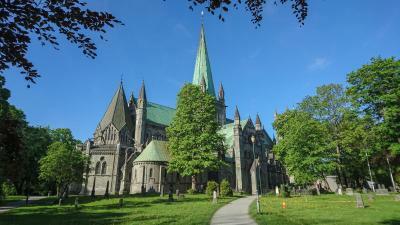 Nidaros Cathedral is an 8-minute walk from the hotel. 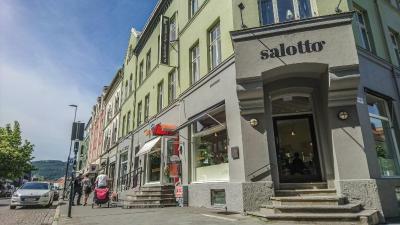 This property also has one of the top-rated locations in Trondheim! Guests are happier about it compared to other properties in the area. 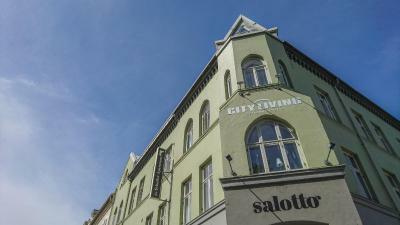 When would you like to stay at City Living Schøller Hotel? 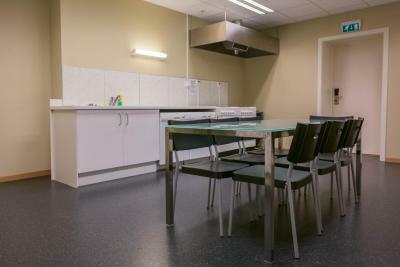 Access to a fully equipped shared kitchen is available. 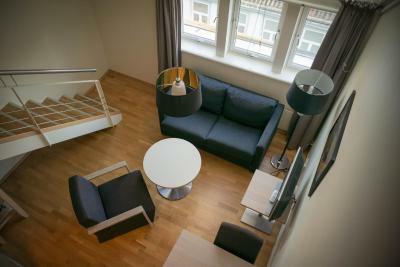 This spacious room includes access to a fully-equipped communal kitchen. 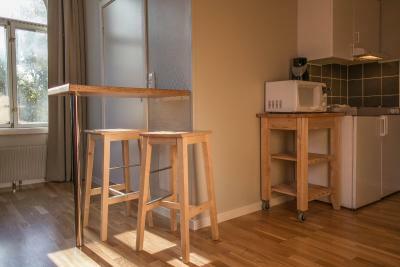 This spacious apartment features a kitchenette with an electric stove, microwave and fridge. 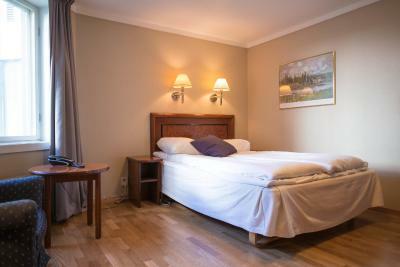 This spacious room features a kitchenette with an electric stove, microwave and fridge. The hotel is buildt in one of the old brick buidings in Trondheim rised in the 1880's. 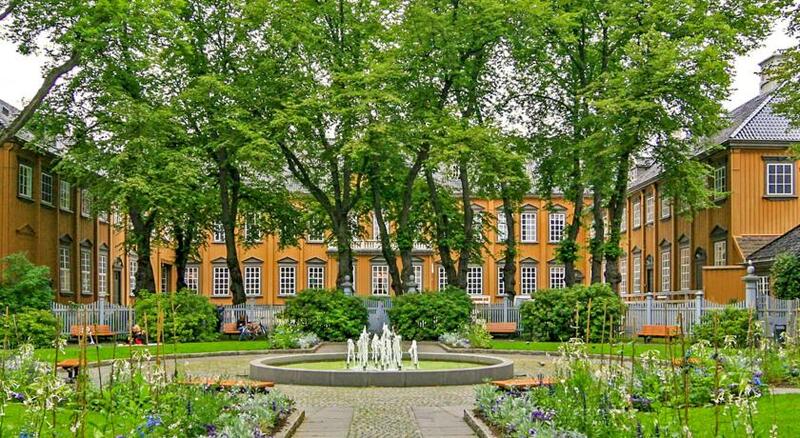 It's named after Mrs. Schøller (Cecilie Christine Schøller), who was responsible for the building of Stiftsgården. 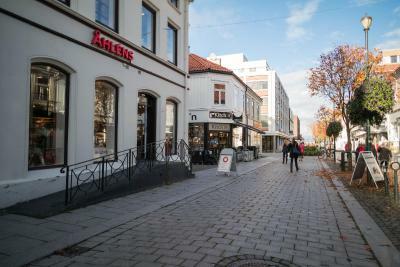 City Living opened in 1990 after a major reconstruction, but there has been different hospitality businesses in on the adress since the 1950's. In the same building you will also find the sushi restaurant Kyoto. The hotel has 50 rooms spread throughout four floors. The reception is situated on the ground floor. 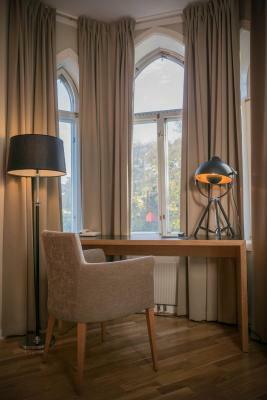 House Rules City Living Schøller Hotel takes special requests – add in the next step! 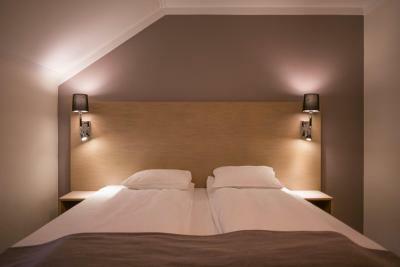 One child under 12 years is charged NOK 220 per night when using existing beds. 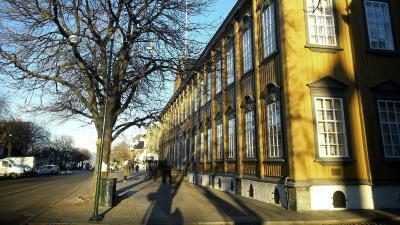 All children under 2 years are charged NOK 220 per night in a crib. 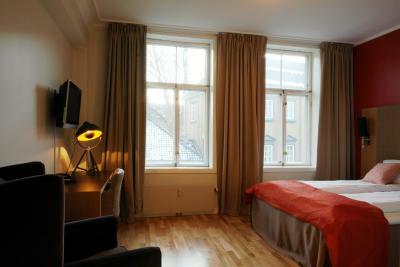 Any additional older children or adults are charged NOK 220 per night for extra beds. Debit card City Living Schøller Hotel accepts these cards and reserves the right to temporarily hold an amount prior to arrival. City Living Schøller Hotel accepts these cards and reserves the right to temporarily hold an amount prior to arrival. There was evidence of some staining on the ceiling which could have been covered up! The rooms were very spacious and comfortable. I really felt at home. The life was operated by the key card to our room and as a result this made us feel very safe. 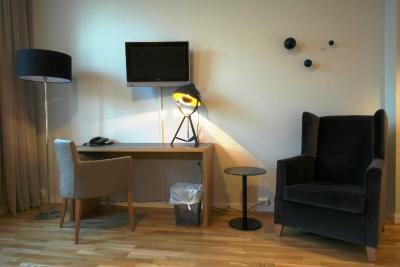 Given that we were backpacking around Norway, we found the facilities incredibly useful. They had a laundry room where we could wash our dirty clothes and the radiators in the room dried them over night. This meant that mid-trip we had freshly washed clothes - ultimately meaning you can pack lighter (easier for backpacking). The kitchen facility meant we could beat the expensive Norwegian meal prices too. I would highly recommend this place and I’m sure we will use it again in the future. Cheap, friendly and convenient place for which we were sad to leave. Good location. 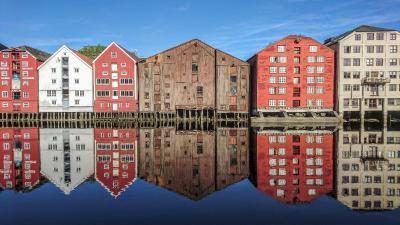 For Trondheim it’s not too expensive. Bed was comfortable. Construction Slanted roof room was awkward. so one of us ended up with a bruised nose. No breakfast places around. Good job! I am happy with the hotel! Close walk from the station and near the centre. Lovely welcome on arrival. Massive room! There isn’t tea and coffee in the room but there is a guest kitchen on another floor. Lovely stay! The location was amazing, close to everything and everywhere. Bed room was dusty and laundry room was really bad. First: do not understand question: Genius perks. Förstår inte frågan. - What did you like? I just answered that. Central location near pedestrian area. Many restaurants and clubs. New, clean and very large rooms. There is no parking in the structure but very close there is one but you have to pay. For breakfast they deliver a voucher to get the discount to use in a partner place.